All The Write Stuff: Meet Sally Apokedak, Associate Agent with the Leslie H. Stobbe Literary Agency! 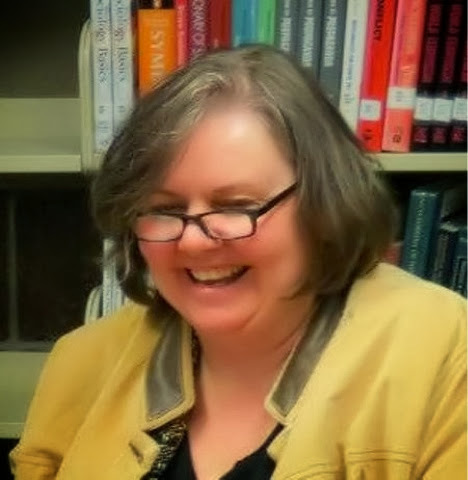 Meet Sally Apokedak, Associate Agent with the Leslie H. Stobbe Literary Agency! We are so excited to have you as one of this year's conference faculty! Not only do we get to benefit from your intriguing pre-conference workshop Making Your Plodding Prose Prance and Your Plot Dance and your expertise as an agent but we also get to interact with someone who has spent years helping children's literature reach happy readers and (based on some of your blog posts) has a tongue-in-cheek whimsical sense of humor. I want to say thank you for agreeing to be interviewed. Sally Apokedak: Well, thank you for having me. I'm happy to be here. What an interesting childhood you must have had...staying at campgrounds, driving through Europe, living East, West, North and South in the United States and Taiwan. I'm curious, do you think moving around and adventuring with your family influenced your love of reading and the story genres you prefer? Sally Apokedak: I come from a family of readers. That is the first reason I love to read, probably. Both of my parents read and so did all my older brothers and sisters. We didn't have videos or video games when I was a kid. So we played outside or we read. But, yes, my travels did have an influence on my love for reading, I think. I've always loved to travel and to study new cultures. And in books you can travel all over the world without spending a lot of time and money. Not quite as good as going in real life, but a nice way to learn about new people and cultures if you can't afford to go in person. You mentioned on your website the first book to "ravish" you was Treasure Island which then led you to a plethora of other stories. Do you remember what made you pick Treasure Island first? And what captivated you most about the story? Sally Apokedak: A condensed version of Treasure Island is what I first fell in love with, actually. It was the summer I turned eight years old. My mother had a collection of Reader's Digest Condensed Books, called Best Loved Books for Young Readers. She told us she'd pay us fifty dollars if we could read all 48 books over the summer. I didn't get the fifty dollars, but I got something worth much more than money. I still have these books. They're prominently displayed in my living room. Treasure Island was the first one I read, and I loved it so much I forgot all about the monetary motivation. I loved the danger, I loved Jim, I loved the ship and the sea, and I loved the treasure. Who doesn't want to find a treasure? What kid has ever lived and not wanted to find a treasure? You mention you love children's books--from PB to YA--with your favorite being fantasy (and a liking of dystopia and fairy tales). Do you think these types of stories convey a different message than stories targeted for adults? Sally Apokedak: Hmm. Interesting question. I think what I love about children's books is that they usually end with hope. I'm not sure adult books do. I have had times in my life where I've read only adult books, including when I was a teen, but even then I was much more of a genre reader than a literary reader. I liked mysteries and sci-fi and fantasy. And I think those books all end with hope. Adult literary books, it seems to me, often end in a confused way or with no hope offered. I think sci-fi and fantasy for all ages, allows the author to look at real world problems in fresh and non-threatening ways. You can see human nature in fantasy, you can face danger in sci-fi, but you don't have to worry about it being real. It can be more dangerous and still feel healthier and safer, I think. I know these three questions you must get all the time but... What made you decide to be an agent? If your dream submission was delivered today, what would it look like? And what is your biggest no-no in a pitch session? 1) I've always wanted to be an agent. What finally made me decide to do it was that my life got to the place where I could do it. My husband was a quadriplegic and I was his caregiver. He died in 2007 of colon cancer, and I moved over close to my parents so I could care for my father, who was in a wheelchair, paralyzed from a stroke. He died in 2009 and the day after his funeral, my mother fell and broke her pelvis in three places. So I moved in with her and cared for her until she died in 2012. So in 2012, I found myself with two grown kids and no more disabled people to care for. I was free to travel and I had a lot of free time to fill. I met Les Stobbe that year and asked him to teach me how to be an agent, and, happily for me, he agreed to take me on. 2) Dream submission? I have signed several clients who have sent me dream submissions. If a manuscript keeps me up reading late so I can finish, it is a dream submission. What I want is a character who needs something, who is actively seeking to gain something despite the roadblocks in his way, and who has an interesting voice. If he's funny and self-sacrificing, and a little naïve, or honest to a fault, so much the better. And if he's an orphan, well, then you've hit all my sweet spots. 3) Biggest "no no" in pitch session? I hate to list them, because sensitive writers will immediately think they've broken the rules and all the agents are laughing at them. I think if writers just act like they do when they meet anyone for the first time, things will be fine. Be pleasant. Be polite. Probably the one thing that is really hard for me to deal with is a person who sits across from me and starts telling about eight or ten or twelve books she's written. I immediately shut down. I can't hear anything. I see the person's lips moving but it all sounds like, "This-this-this-this-this-this-that. And this-this-this-this-this-this-that. And then there was that and that and that and that." None of it means anything to me. It just all blurs together like food that went down in separate helpings of greens and fruits and meats, but came back up in a swirly mess. So don't regurgitate ten projects in fifteen minutes. I simply can't pick through that kind of mess looking for gems. My brain isn't fast enough to handle that kind of info overload. Think of it this way—you have fifteen minutes to make me fall in love with you and your work. Will you do that best giving me a fifteen-minute video on fast-forward that tells your whole life story? Or will you do that be telling me one story about yourself that makes me cry? Move me. Tell me one story. Make me laugh or make me cry. If you do that, I'll ask for more. Trust that. What a wonderful experience getting to work with Jeanne DuPrau, Ingrid Law and Shannon Hale. (I have to admit I really enjoyed the Books of Ember) How did you become involved with Kidz Book Buzz blog tour and can you share one of your favorite experiences with it? Sally Apokedak: The Books of Ember were great! I founded Kidz Book Buzz blog tour. I love children's books and I wanted to promote them. The perks were getting to work with a bunch of really cool authors. Some of those authors we toured have become friends and I value that above all. Being a present YA contributor of Novel Rocket, you advised in one of your blog posts to "take your passion and put it into a form that will sell." What advice would give a writer who is hoping to do that? Study the market. You don't have to be a sellout. You don't have to compromise. Write what you love, but put it into a package that is selling. So if you love poetry, fine. Write eight four-line poems for toddlers and sell them as a board book. Or write sixteen eight-line poems around the theme of Halloween or Summer or School or Food and sell them as a picture book for the K-3 crowd. Look at what that age group is studying in science and write poems about health. If you love books with unicorns and you can't stand vampires, that's fine. Write a story with unicorns. But make sure it's a story that speaks to children today and not a story that would have spoken to children fifty years ago. If you want to write fantasy but romance is what's selling, make your fantasy a romance. If you want to write mysteries but fantasy is selling set your mystery in a fantasy land. Take you passion and fashion it to fit the market. I like the description of spotting the snoozing passages in manuscripts and poking them with a stick to get them moving with your pre-conference workshop Making Your Plodding Prose Prance and Your Plot Dance. I was wondering if we might, maybe, get a bigger teaser on what we'll learn? Sally Apokedak: I have to admit, I cringe a little every time I see that title. I'm not sure why we called it that. I think what happened is that I was offering two classes—one on making the plot dance and one on how to wake up slumbering prose. Because of the way the classes needed to be set up for the conference we combined the classes and somehow the title came out as it did. So how's this for a teaser: In the part of the class on prose, I'll discuss why we shouldn't use so many figures of speech in one title. Alliteration is great, but a little dab'll do ya. The part of the class that is about plot will cover plot from beginning to end. I map out a plot that works—one that is common in best-selling children's books. Please, if anyone reading here is coming to my workshop, bring your first chapters. We're going to be working on them in class. Last question...I really enjoyed reading about your calendar method of getting tasks done. What a wonderful way to not stress about the work load and still get everything done. How did this tool come about? Sally Apokedak: Desperation. Actually, one of my clients, Lisa Fowler, sent me a lovely, fancy-schmancy appointment book for a Christmas present. I immediately began filling in the days. It was apparent right away that this was the perfect tool for relieving stress, because I didn't have to waste energy trying to remember things. The minute a project came in, it went on the calendar and then I didn't have to remember it or worry about it. It also made me more productive because I never had to spend time thinking about what I should work on next. At the start of the day I checked my projects and off I went. Then, at the end of the day, I moved any that I didn't get to. I plugged them into another spot. Again, we are looking forward to having you! Sally Apokedak: Thanks. I'm looking forward to being there. Sally Apokedak is an associate agent with the Leslie H. Stobbe Literary Agency. She’s been studying, reviewing, and marketing children’s books, as well as giving writing instruction for a dozen years. As the manager of the Kidz Book Buzz blog tour she was privileged to work with best-selling and award-winning authors such as Jeanne DuPrau, Ingrid Law, and Shannon Hale. She is presently the YA contributor to Novel Rocket and she teaches at general market and Christian Writers’ conferences across the country. Picture Books: I’m looking for quirky, fun, characters and delightful language, with lines that roll and rhymes that rock. Conflict and growth for characters always helps. Middle Grade Books: I’d love some funny boy books. Boy scientists and boy geniuses are great. I love fantasies, but really want anything with a strong voice. YA Books: Fantasy is my favorite, and if there’s romance, I love it even more. I still like dystopian, and fairy tales. I love mysteries. Nonfiction For All Ages: I’m interested in devotional books, Christian living, science for young children, and biography. But you may try me on anything. Adult Inspirational: I’m looking for adult books for the Christian market, particularly fantasy and romantic suspense. Any picture books that rhyme where all the rhyming words are one or two syllables, are not going to be right for me, I’m pretty sure. Not looking for: I am also not a huge fan of issue books and preachy stories. Supernatural books, with angels, demons, or any mix thereof, will probably not catch my fancy. I’m not salivating for werewolves, vampires, ghosts, fairies, or zombies. I’m not into dark and angsty books. I like endings that are full of hope. Tammy Burke, GLVWG member, 2011 conference chair and past president, has published over 300 newspaper and regional magazine articles and over 200 photographs. She has interviewed state and local government officials, business and community leaders, everyday folk and celebrities. Currently, she is in the revision stage for her first YA fantasy adventure book, the first in an intended series. When not writing, she works in the social service field and is a fencing marshal in the Society of Creative Anachronism (SCA). Wonderful interview. I look forward to meeting Sally and having a one-on-one pitch with her. "I think what I love about children's books is that they usually end with hope." Sigh . . . that's why we do what we do. Looking forward to meeting this wonderful woman in April!